La Sivolière is a real experience because Florence Carcassonne has surrounded herself with a dedicated team that returns every season. 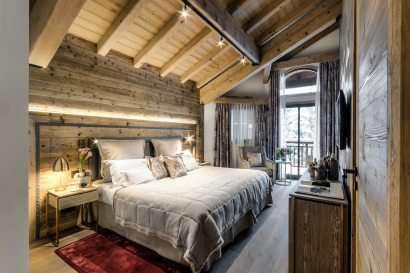 The place is the result of her work during the past 9 years where she has brought her vision of a beautiful crafted hotel into this chalet, where everything is done to make the guests feel at home. 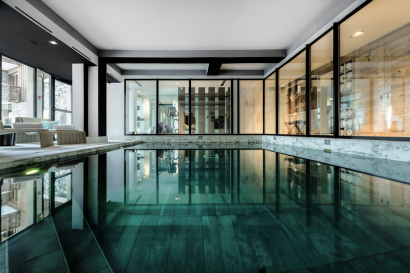 Florence Carcassonne, hospitality professional, has worked in prestigious hotels such as the Georges V in Paris, the Martinez in Cannes and the Royal Mansour in Morocco. 5 star Luxury hotel with only 36 rooms and suites, a discreet address without ostentation. The moto of the property is “The Best kept Secret of Courchevel”. Remaining a disctinctive address with no ostentation. Watch more about Hotel La Sivolière HERE. 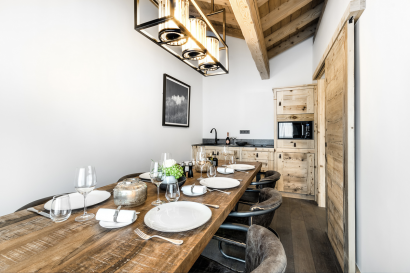 Initially built as a private chalet, La Sivoliere has turned from a guesthouse into a 3-star, a 4-star and finally a 5-star property with a complete renovation in 2009-2010. The first owner Mr. Jean Cattelin has been one of the pioneer of the now famous and international ski resort as one of the first ski domain Director. Last renovation in 2009-2010: full renovation of common areas, refresh of the rooms, suites and apartment. Designer: Sara Copeland Interiors. Renovation in 2014: kitchen full renovation that allows the Chef to have cooking classes. 2015: full renovation of the roof with “lozes” to reinforce the chalet aspect of the building. Ski in and out property, La Sivolière is appreciated for its warm-welcoming service and home feeling. 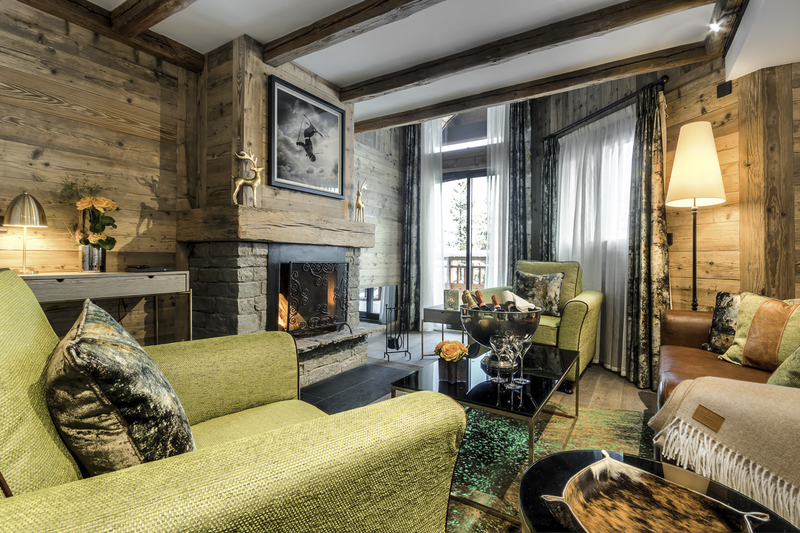 The combination of Alpine traditional and contemporary styles are also reinforcing this chic yet relaxed ambiance. In the ski rental shop, the skis are prepared every morning, boots are heated, the ski valet is helping the guests to put their boots on, drying and warming the boots. 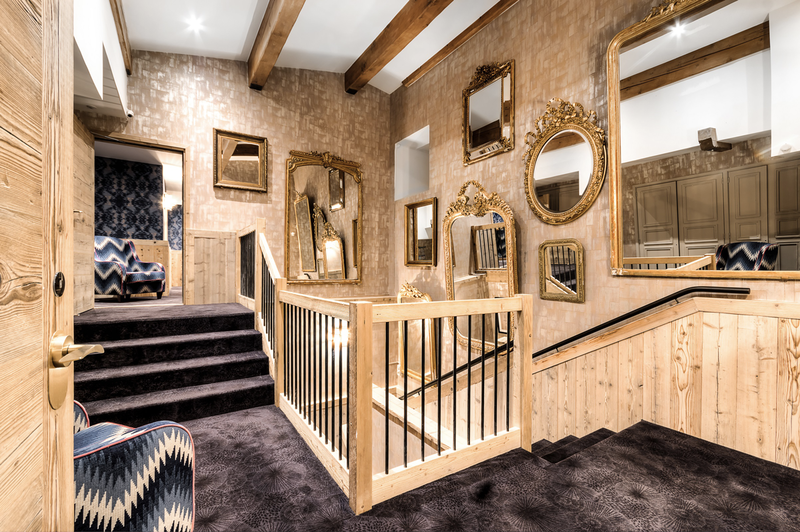 A large choice of cutting-edge ski equipment, ski clothes and accessories is offered to the hotel guests. 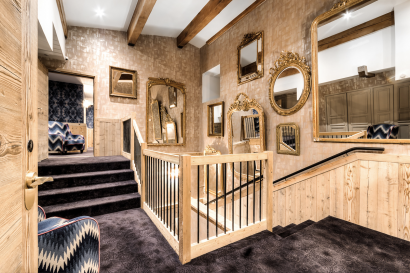 La Sivoliere is a step away from the heart of Courchevel 1850. The hotel stands in a peaceful area called “Les Chenus”. 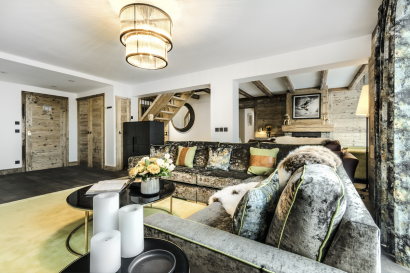 Surrounded by private chalets, the guests can either enjoy the peacefulness of the place or afford the busy and lively centre of Courchevel. It takes only ten minutes walking to reach the centre, two minutes with the hotel complimentary shuttle. Dog Service including walks in the resorts or in the forest, a room service menu on half board, dedicated beds, La Sivoliere plates, a dog boutique with branded leads and plates. The Mini Sivo service is including a dedicated desk at the reception with a personalized check in process, bathroom and in room amenities. Daily edutainment activities are provided at the Mini Sivo Room from 4 years old until 12 years old. A special menu has been elaborated by the Chef for Le Mini 1850 restaurant. 4 Superior room(25 m²): The first double room category, village or forest view. Room with double or twin beds, bathroom with bathtub. 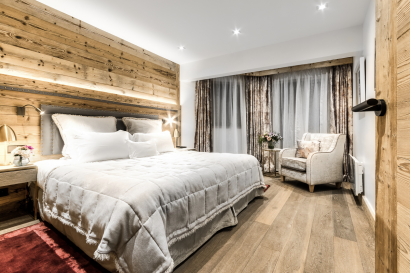 14 Prestige room(30 m²): The second double room category, spacious and just completely renovated, it offers a warm and cozy Alpine contemporary style. Wooden floor, double or twin beds, an open lounge area, bathroom with bathtub or large shower. Village or forest view. 8 Family Junior Suite(35 m²): Forest or village view. Just redecorated, those rooms offer double or twin beds and an open lounge area with a sofa bed or bunk beds to accommodate up to 2 adults and 2 children. 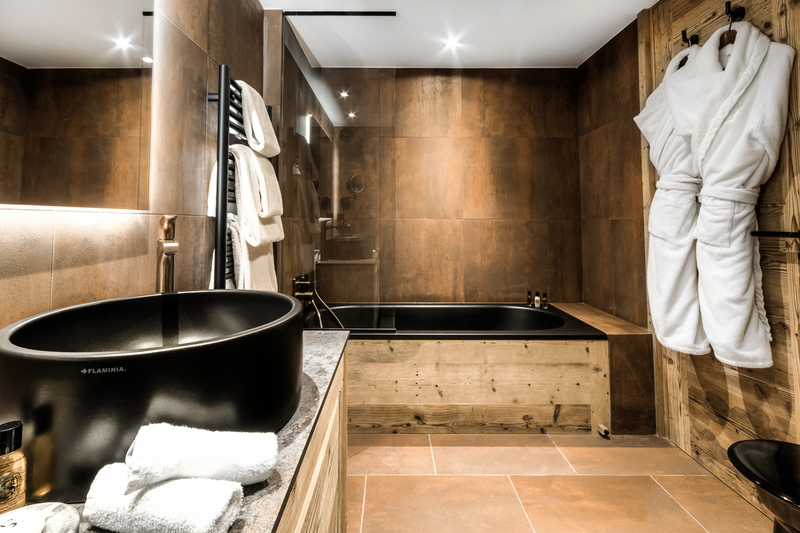 Bathroom with bathtub and separate shower. 4 One-bedroom Prestige Suite (60 m²): Village or forest view. Just completely renovated, it offers an Alpine contemporary style: a master bedroom with a king size bed, duvet and top mattress and a separate living room. 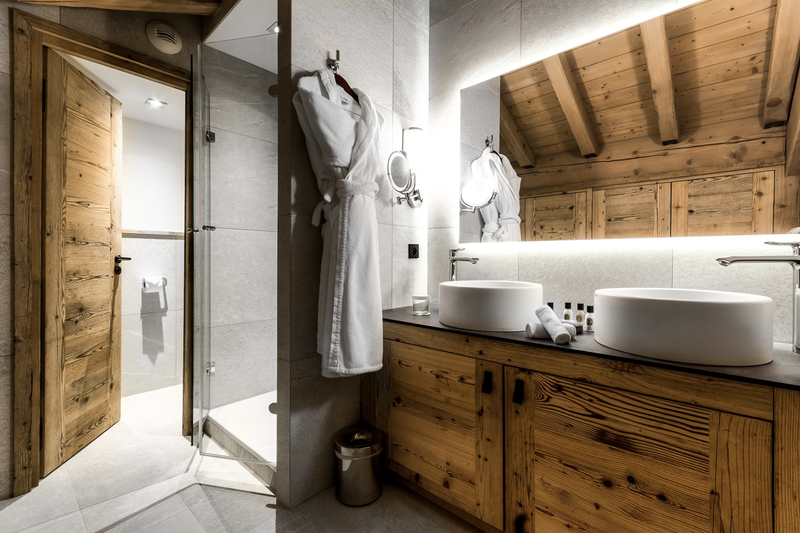 One bathroom with steam shower and bathtub, two restrooms. 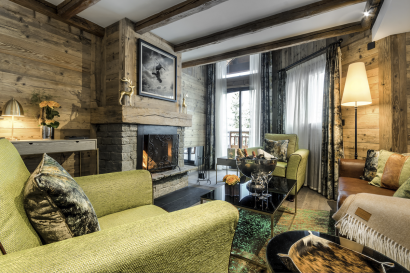 4 Two-bedroom Signature Suite (70 m²): The most spacious suite with village or forest view. 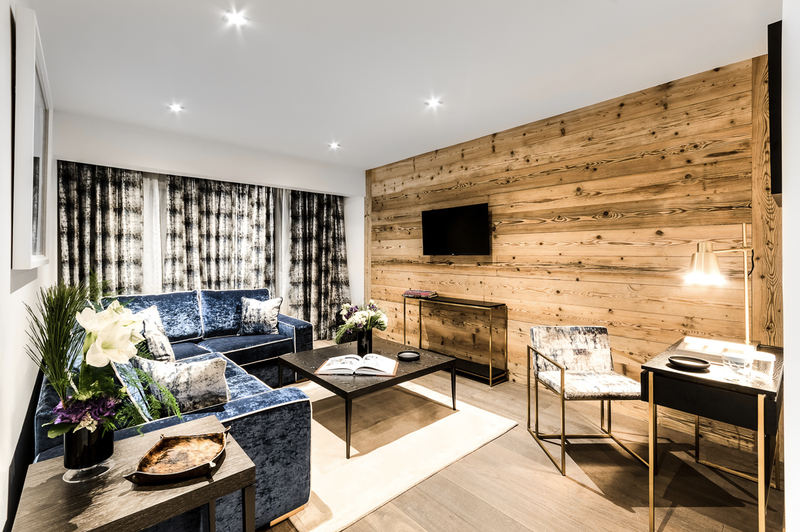 A living room with comfortable sofa lead to two separate bedrooms offering cozy beds with duvet and top mattress, a king size bed in the master bedroom, twin or bunk beds in the second bedroom. Two en-suite bathrooms, one with a large rain shower, the second one with bathtub. 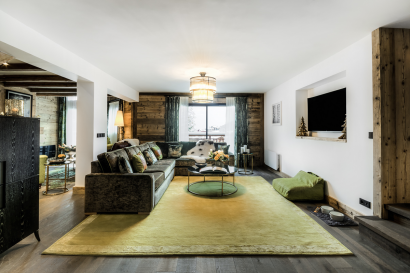 1 Three-bedroom apartment (145m²): Just completely renovated:like a private chalet for up to 6 guests within La Sivolière and offering a lovely view on the mountains and the village of Courchevel 1850. On the ground floor:A large entrance leading to a spacious living room with fireplace, a full equipped kitchen and a dining-room. One the same level, the master bedroom with an en-suite bathroom offering bathtub and a separate steam shower. On the first floor: two bedrooms with their own bathrooms, one with bath, the second one with a large rain shower. Cozy beds with duvet and top mattress. Gourmet restaurant of La Sivolière run by the Chef Bilal Amrani who offers a creative and gourmet cuisine. The restaurant is awarded since several years with 3 red forks at the Michelin guide. Specialty: Filet of turbot, smoked with pine needles, served with a cream of celery and white Alba truffle, yellow wine sauce. Half board option with a daily-set menu is an option as well as “a la carte”. 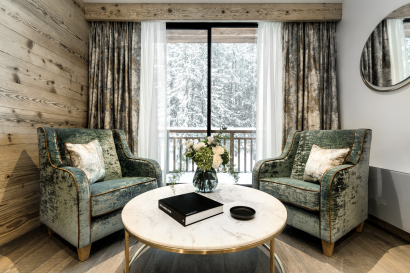 A comfortable place to taste the daily signature cocktail, a glass of wine, Champagne or even have the afternoon tea time after a day on the slopes. Live music with a pop duet and a saxo player. Theme weekends: yoga weekend in March. Meeting room for up to 12 persons. Restaurant can be privatised for 60 seats maximum. Organization of incentive trips in partnership with Courchevel Aventure.